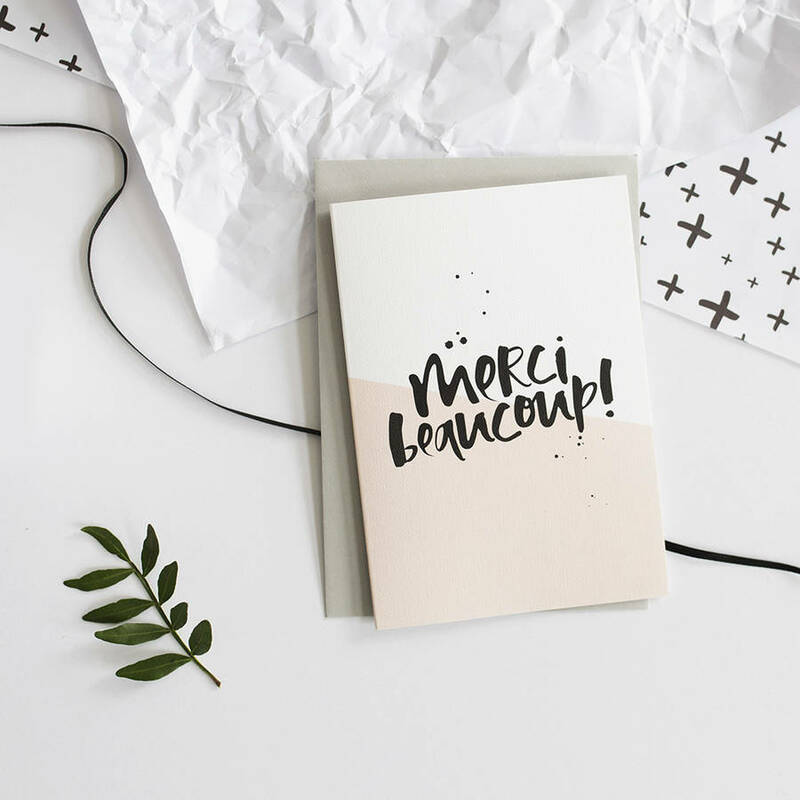 Simple and elegant hand lettered greetings cards designed for the stationery lover. 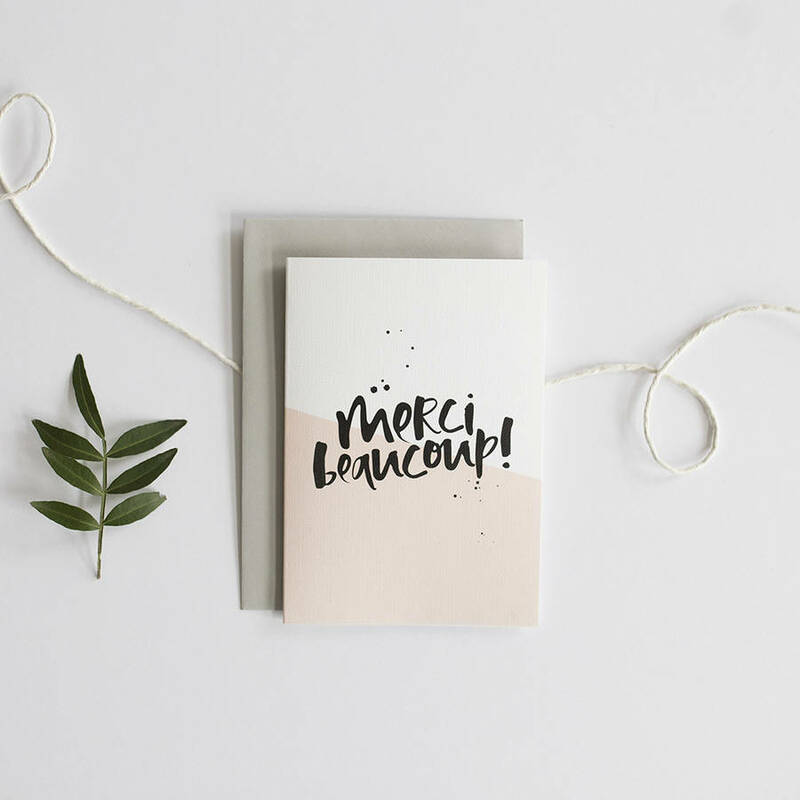 The perfect thank you card with a playful twist. Featuring our classic, hand lettered font, this 'Merci Beaucuop' card makes the perfect, pretty thank you card for a friend. 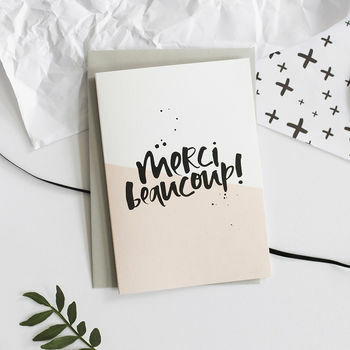 Our unique, contemporary and eye catching designs are created by hand using a Japanese brush pen and rich black Indian ink and printed on to the finest and extra luxurious FSC certified 350sgm textured card and teamed with a french grey envelope. Cards are blank inside for your own message.